The Golden State Warriors will not win 60 games for the first time in Steve Kerr’s tenure as the head coach. And for the first time in a long time, they look as susceptible as any team in the Western Conference. This doesn’t mean any of this stuff even matters. A blowout against the Indiana Pacers and an embarrassing home 4th quarter performance against Anthony Davis and the New Orleans start to make this last stretch a more worrisome adventure. Starting a game slow, allowing the first 9 shots to go in, is one thing. Blowing a 4-point lead and allowing 15 points off turnovers in the last stanza of a game where you can stomp out postseason aspirations is another. 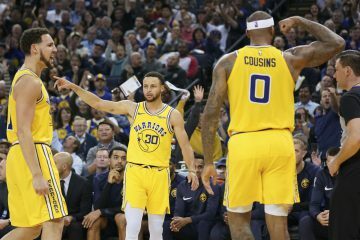 Regardless of how much a team should care, there would appear to be some type of adrenaline and pride that goes into how the Warriors should be playing in close games, especially this close to the postseason. Kevin Durant was sublime throughout, albeit a few costly turnovers at the end, but his great showings have all turned out to be losses his season. It likely isn’t his fault but is a noticeable difference in results between his and the great Curry performances. Everyone know it at this point, and the players even admit it. The Warriors are built around the strengths of Steph and everything else perfectly put together to hide his limitations. And even though this superteam is unstoppable and unbeatable with everyone healthy, the same issues remain when Curry is off the floor. They are unable to manufacture good shifts on a consistent basis. Durant can score and lead an offense but Steph’s gravity allowed more touches for Klay Thompson and put Draymond Green in a position to create in 4-on-3 situations. 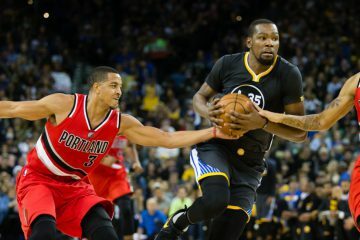 Durant’s gravity isn’t nearly the same and has forced the Warriors into isolation and stagnant situations. Nobody wants to turn the ball over 20 times a game, certainly not a team like the Warriors that drill down on this nearly every single day. But with the lack of space and aggressiveness from nearly everyone else outside of Quinn Cook (somehow), Draymond’s passing is negated and the lack of dribble penetration from Klay becomes much more pronounced. These are not things that are likely fixable without the return of 30. What is, however, is the defensive energy and execution. They were completely dreadful all game long, allowing the likes of Nikola Mirotic to nearly hang 30 on them. That’s not only unacceptable for them, but unseen in a long time. 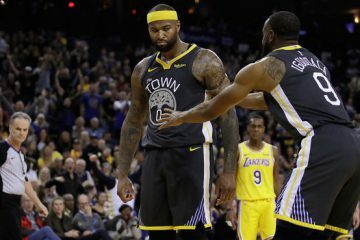 In order to take down whomever their first round opponent is, there can’t be a revolving door of centers that have no idea what they’re doing. Damion Jones, Jordan Bell, JaVale McGee all don’t have much of a clue where to be or how to be on that end. Zaza Pachulia has become unplayable. Kevon Looney is likely the most consistent player outside of David West but there’s a capped upside that’s more average than anything else. In other words, this entire piece has been a circuitous route to get us to the part where I say Draymond Green has to play center for long stretches through the postseason for the Warriors to win. The same fix the Warriors made down 2-1 against the Cleveland Cavaliers. 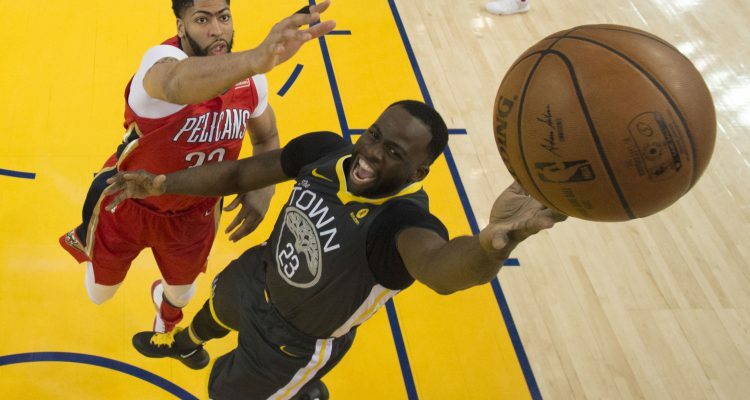 Warriors still struggle to score without Steph, and the break-glass-on-emergency solution is still to play Draymond Green at the 5. The more things change, the more they stay the same, don’t they?